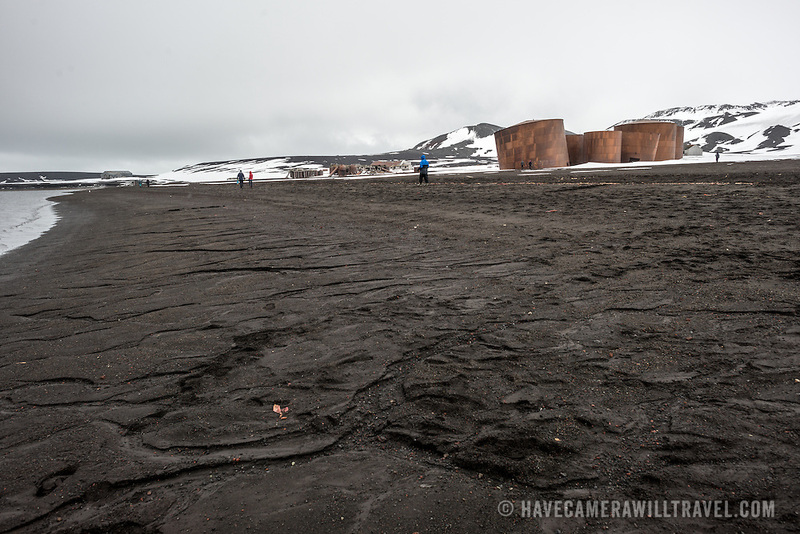 The dark, course sand of the beach at Whalers Bay on Deception Island, Antarctica. In the background are some oil tanks and buildings from the abandoned whaling station. Deception Island, in the South Shetland Islands, is a caldera of a volcano and is comprised of volcanic rock. The volcano also keeps the ground and water warmer than the surrounding area.